First Impressions for your home. 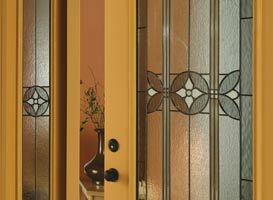 Come home to quality and comfort with a custom entry system from SureFit fiberglass doors. SureFit offers a level of quality and durability that will enhance the value and comfort of your home. With many styles and sizes to choose from, we offer many options that will allow you to custom tailor a look thatâ€™s right for your home. Whether you are updating an older home or building a new one, SureFit fiberglass doors has the design thatâ€™s right for you. When your friends and family are greeted by your new SureFit entry system, they will feel a lasting impression of elegance and style. Every home is as individual as itâ€™s owner, and our mission is to offer an affordable custom solution for your entry that will provide comfort, beauty and security. Not only will the curb appeal of the SureFit door system increase the value of your property, it will be an invaluable asset to you and your family with itâ€™s security and reliability. SureFit doors will be there when you need them most. What other Projects Are you Considering?